Feeling down, tense, angry, anxious or moody are all normal emotions for people especial young ones, but when these feelings persist, or if they interfere with daily life, there may be cause for concern. Not only can acupuncture and Chinese medicine alleviate symptoms associated with mental health issues, it can treat the root cause of the problem by helping to rebalance the body’s internal environment. The World Health Organization (WHO) defines health as “a state of complete physical, mental and social well-being and not merely the absence of disease or infirmity” (WHO 2001). So mental health is clearly an integral part of this definition. The goals and traditions of public health and health promotion can be applied just as usefully in the field of mental health as they have been in heart health, infectious diseases and tobacco control. Mental health is described by WHO as “a state of well-being in which the individual realizes his or her own abilities, can cope with the normal stresses of life, can work productively and fruitfully, and is able to make a contribution to his or her community” (WHO 2001a). In this positive sense mental health is the foundation for well-being and effective functioning for an individual and for a community. Therefore, mental health is more than the absence of mental illness: it is vital to individuals, families and societies. Around 7.3 million or 45% of Australians aged 16–85 will experience a common mental health-related condition such as depression, anxiety or a substance use disorder in their lifetime according to the 2007 National Survey of Mental Health and Wellbeing. About 4% of people will experience a major depressive episode in a 12-month period, with 5% of women and 3% of men affected. 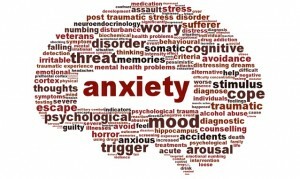 Approximately 14 % of Australians will be affected by an anxiety disorder in any 12-month period. About 3% of Australians are affected by psychotic illness; such as schizophrenia, where there is a loss of contact with reality during episodes of illness. Approximately 2% of Australians will experience some type of eating disorder in their life, with women 9 times more likely than men. According to the National mental health report (2013), the original commitment made by all governments to protect mental health resources under the National Mental Health Strategy has been met, and total government expenditure on mental health increased by 178% in real terms between 1992-93 and 2010-11. In 2010-11, Australia spent $4.2 billion more of public funds on mental health services than it did at the commencement of the Strategy in 1992-93. And AIHW estimates that over $7.6 billion per annum is spent on mental health-related services in Australia. Despite all the efforts, the Mental Health Australia (2015) described the mental health system in its media release as “broken” and has renewed its call for a long-term program of systemic reform. As the 7:30 Report on the ABC (14 April 2015) has highlighted the nation’s poor mental health system, resulting too often in people reaching crisis and taking their own lives. Mental health disorders are medical conditions that disrupt a person’s thinking, feeling, mood, ability to relate to others, and daily functioning which result in a diminished capacity for coping with the ordinary demands of life. Mental disorders can affect persons of any age, race, religion, or income. Serious mental illnesses include major depression, schizophrenia, bipolar disorder, obsessive compulsive disorder (OCD), panic disorder, post traumatic stress disorder (PTSD), and borderline personality disorder. Anxiety and depressive disorders are the most common of all mental illnesses. Both are severe, chronic, and can significantly impair the individuals affected by them. 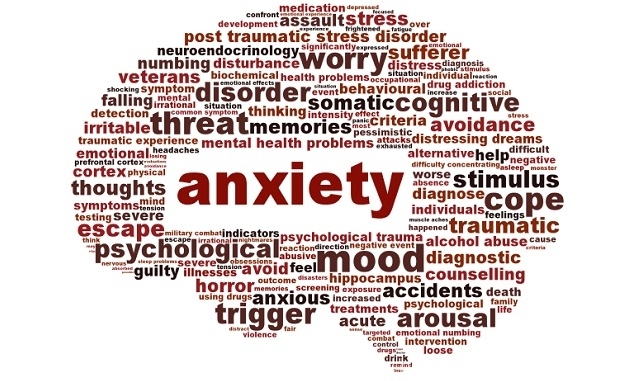 Anxiety disorders can produce feelings that range from uneasiness to immobilizing moments of terror. 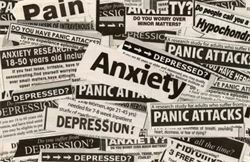 An anxiety symptom may include excessive worrying, a feeling of being out of control, panic attacks, frequent nightmares, and lack of sleep. Any anxiety symptom can be frightening, even debilitating. One does not have to suffer a major depressive disorder to exhibit signs or symptoms of depression. They can appear for various reasons, and while they may be temporary, they are indicative of a need to take better care and attention of one’s mental health. A sign/symptom of depression or a major depressive disorder could be: low energy or exhaustion, anxiety, disinterest in social activity/fear of being left alone, feelings of failure or guilt, hopelessness, excessive irritability and physical aches and pains that appear to have no physical cause. Many times people write off a particular sign/symptom of depression or a major anxiety symptom with the excuse of a “bad day”, but these feelings are indicative of an unbalanced system. The good news about mental disorders is that recovery is often possible. Chinese medicine can help eliminate the cause of these feelings and any sign/symptom of depression by bringing balance and highlighting a healthy lifestyle that promotes wellbeing of both the body and the mind. According to Chinese medicine theory, mental illness occurs when there is imbalance within the body. Imbalance can come from an excess or deficiency of yin and yang that disrupts the flow of qi or energy through the body. The basic foundation for Chinese medicine is that there is a life energy flowing through the body which is termed Qi (pronounced chee). This energy flows through the body on channels known as meridians that connect all of our major organs. According to Chinese medical theory, illness arises when the cyclical flow of Qi in the meridians becomes unbalanced. Acupuncture and Chinese medicine have the ability to detect energetic changes that occur in the body and relieve symptoms by restoring equilibrium. 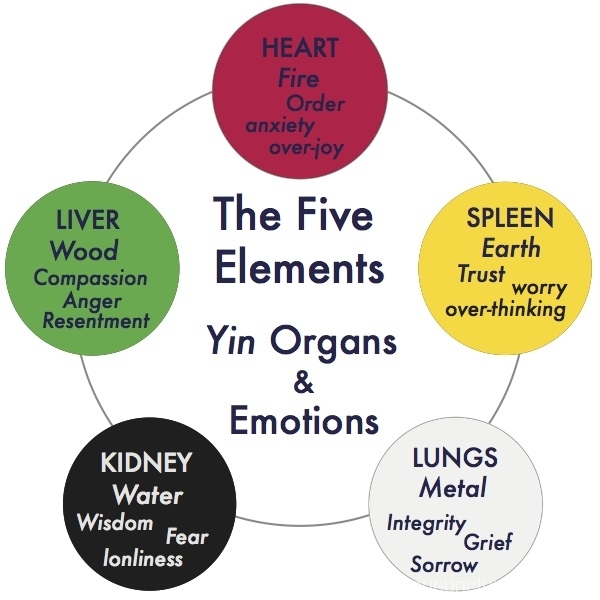 The Principle of the Five Elements (known as Wu Xing 五行) describes the flow of qi and the balance of yin and yang. The Five Elements refer to wood, fire, earth, metal, and water in Eastern philosophy. They are used used to interpret the relationship between the physiology and pathology of the human body and the natural environment. In Chinese medicine, each element is associated with certain organs and mental/emotional states. Chinese medicine does not recognize any mental disorder as one particular disease. Instead, it aims to diagnose with Chinese medicine pattern identification and treat the specific individual using a variety of techniques such as acupuncture, herbal medicine, massage (tuina), lifestyle/dietary recommendations and energetic exercises to restore imbalances found in the body. 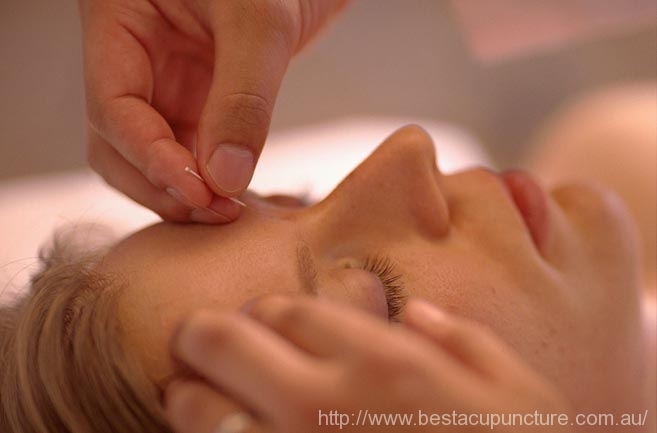 Therefore, if 100 patients are treated with Chinese medicine for anxiety, each of these 100 people may receive a unique, customized treatment with different acupuncture points, different herbs and different lifestyle and diet recommendations. Acupuncture is the stimulation of specific points located near or on the surface of the skin which have the ability to alter various biochemical and physiological conditions in order to achieve the desired effect. A systematic review and meta-analysis (Li S, et al 2018) assessed the clinical effectiveness of acupuncture in the treatment of postpartum depression (PPD). Nine trials involving 653 women were selected. The result of this meta-analysis demonstrated that the acupuncture group had a significantly greater overall effective rate compared with the control group. Moreover, acupuncture significantly increased oestradiol levels compared with the control group. Regarding the HAMD and EPDS scores, no difference was found between the two groups. And it concluded that acupuncture appears to be effective for postpartum depression with respect to certain outcomes. A multicenter, randomized, positive-controlled clinical trial (Li S, et al 2018) was conducted at 6 hospitals in China. 242 perimenopause women with mild-moderate depressive symptom were recruited and randomly assigned to receive 36 sessions of Electroacupuncture (EA) treatment or escitalopram treatment. The primary outcome measure was the 17-item Hamilton Depression Rating Scale (HAMD-17). The secondary outcome measures include menopause-specific quality of life (MENQOL) and serum sexual hormones which include estrogen, follicle-stimulating hormone, and luteinizing hormone. 221 (91.3%) completed the study, including 116 in the EA group and 105 in the escitalopram group. The baseline levels of demographic and outcome measurements were similar in the two groups. In the intervention period, there was no difference between two groups. However, in the follow-up, both HAMD-17 and MENQOL were significantly decreased, and at week 24 the mean differences were -2.23 and -8.97, respectively. There were no significant differences in the change of serum sexual hormones between the two groups. No serious adverse events occurred. This RCT showed that EA treatment is effective and safe in relieving depression symptom and improving the quality of life in the perimenopausal depression. A randomized controlled trial (Liu J, et al 2018) was conducted to observe the effect differences and safety between acupuncture and sham acupuncture for female depression on the basis of conventional western medicine therapy. Forty-two patients with depression who met the criteria were randomly assigned into an observation group and a control group, 21 patients in each group. The basic treatment in the two groups was fluoxetine. The patients in the observation group were treated with acupuncture at Zhongwan (CV 12), Xiawan (CV 10), Qihai (CV 6), Guanyuan (CV 4) and bilateral Shangqu (KI 17). Sham acupuncture was used at the above points in the control group. The treatment was given once a day on the first 3 days and once every 3 days after that, totally for 8 weeks. The scores of self-rating depression scale (SDS) and Montgomery Asberg depression rating scale (MADRS) were compared before and after 4-week and 8-week treatment in the two groups. The effects and adverse reactions were evaluated. After 4-week and 8-week treatment, the SDS and MADRS scores were significantly lower than those before treatment in the two groups (all P<0.05), and the scores in the observation group were lower than those in the control group (both P<0.05). The improvements of SDS and MADRS scores in the observation group before and after treatment were better than those in the control group (both P<0.05). The total effective rates of SDS, MADRS scores were 85.7% (18/21), 90.5% (19/21) in the observation group, which were better than 38.1% (8/21), 57.1% (12/21) in the control group (both P<0.05). The adverse reactions in the observation group were significantly lower than those in the control group (P<0.05). This RCT demonstrated that acupuncture combined with fluoxetine are effective and safe for female depression. Chinese herbal medicine has been traditionally used for over two thousand years for mental disorders including YuZhen(depression), insomnia and anxiety. A most recent study conduct randomized, parallel-controlled trial (Hu LL, et al 2015) compared a Chinese formula containing classic Suan Zao Ren Tang and Zhi Zi Chi Tang (SZR-ZZC) to lorazepam tablet in insomniacs with anxiety. Patients were randomized to the SZR-ZZC treatment group (n = 60) and the lorazepam tablet treatment group (n = 59). And the efficacy were evaluated with four indices of Polysomnography (PSG), the Insomnia Severity Index (ISI), the Pittsburgh Sleep Quality Index (PSQI), and the Self Rating Anxiety Scale (SAS). The result showed that SZR-ZZC significantly improved scores on all four treatment indices, and compared with lorazepam, treatment with SZR-ZZC resulted in a significant reduction in the ISI (P = 0.029), the PSQI (P = 0.017), and wake after sleep onset (WASO; P = 0.008) scores and improved sleep architecture (P = 0.000-0.003) after a 4-week treatment period. A healthy mind will benefit you physically, and vice versa. Whether you suffer from a major depressive disorder, one sign/symptom of depression , an anxiety symptom or general stress, Chinese medicine may help you on the path toward balancing your physical and mental wellbeing. 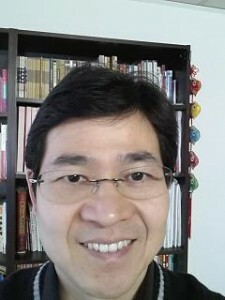 Melbourne acupuncturist & Chinese herbalist Dr. Rayman Wu is a fully qualified acupuncturist and Chinese herbal medicine practitioner. He has special interest and substantial experience in chronic conditions including depression, anxiety, insomnia. Call 03 8839 0748 or make online appointment to see how acupuncture and Chinese medicine can help.